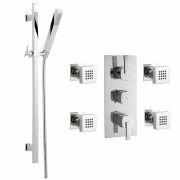 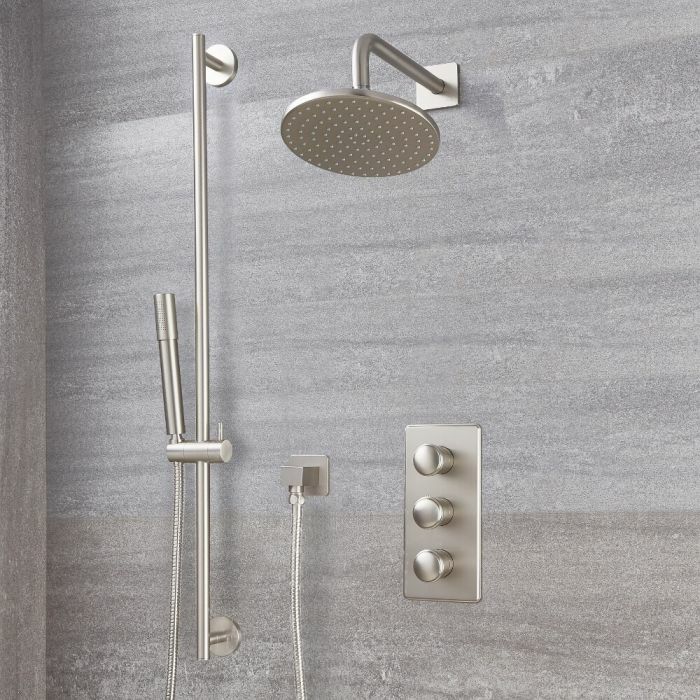 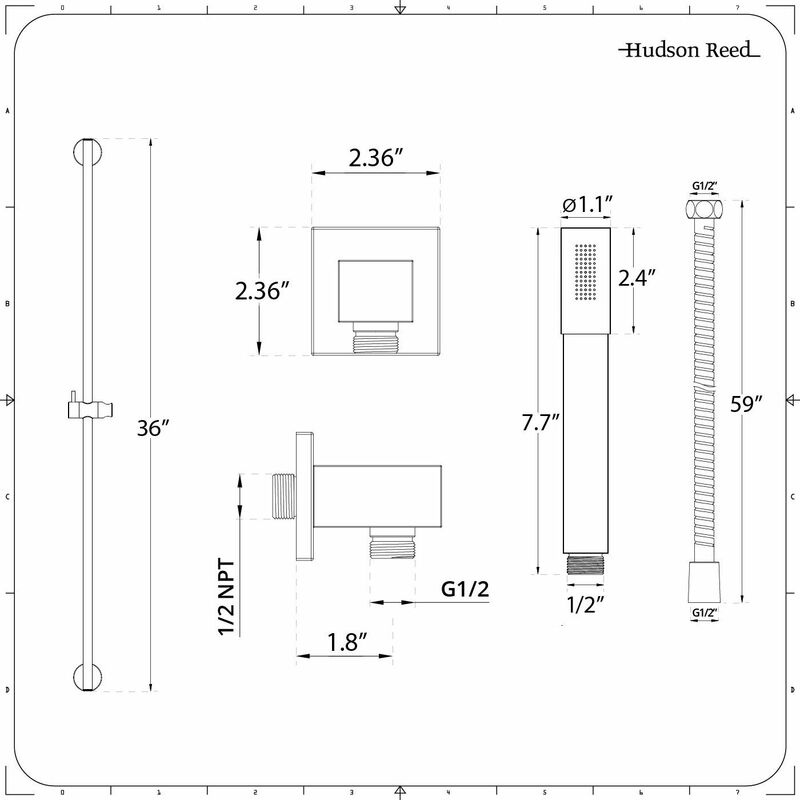 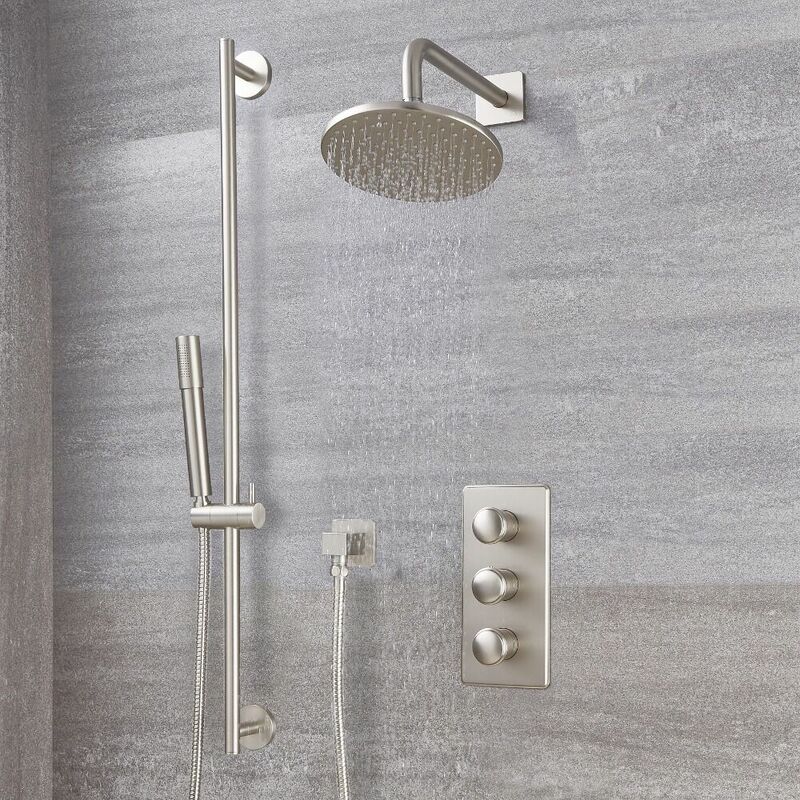 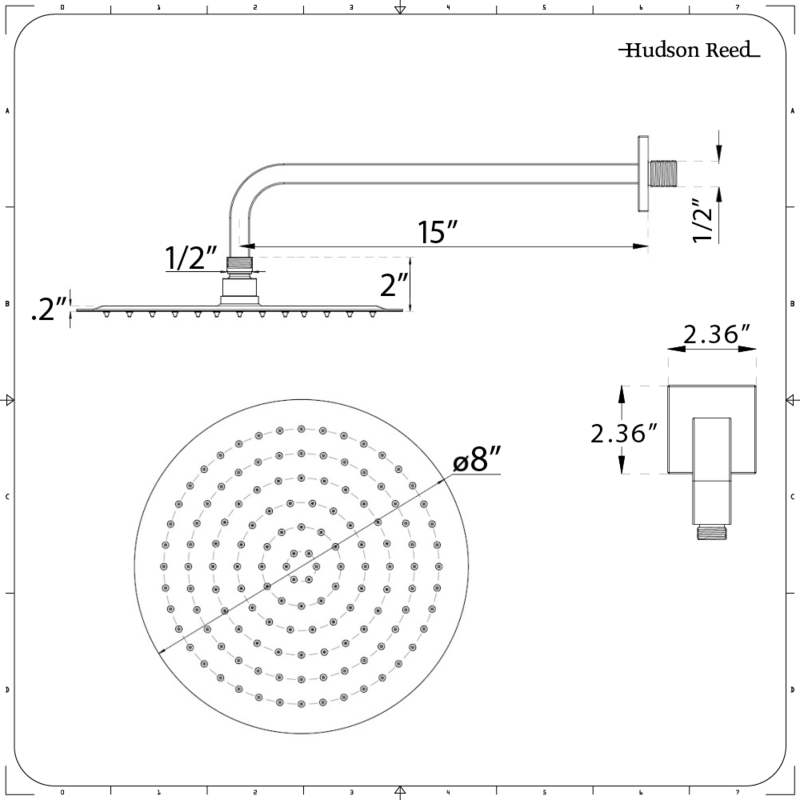 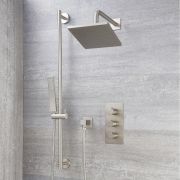 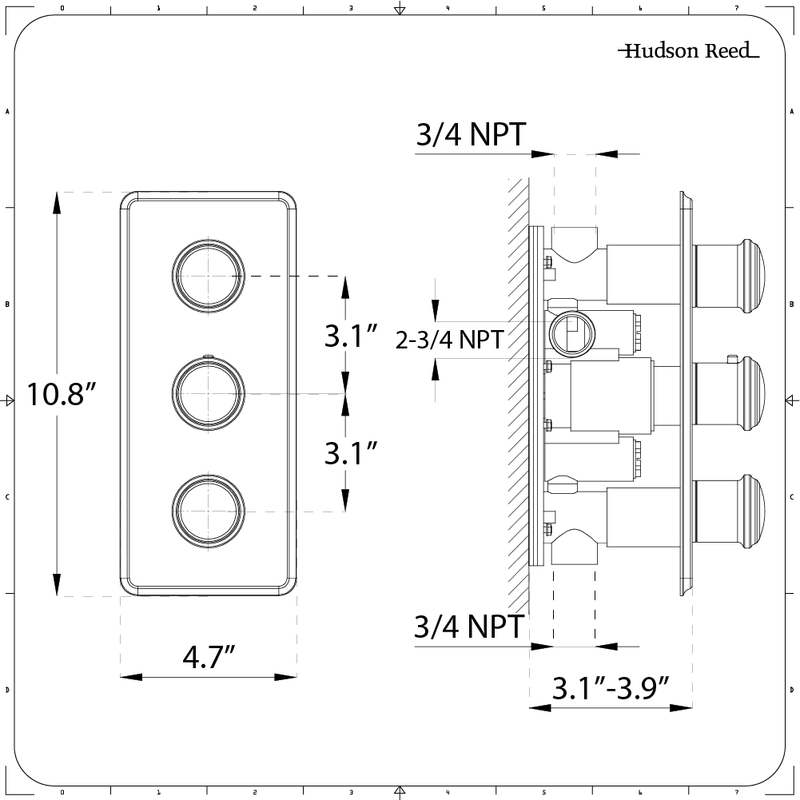 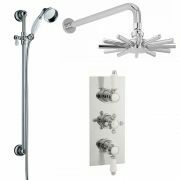 Add a sense of smart, contemporary designer style to any bathroom area with this Eclipse triple thermostatic shower valve, 8” round shower head and slide rail kit. 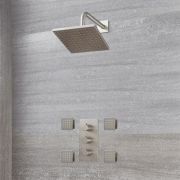 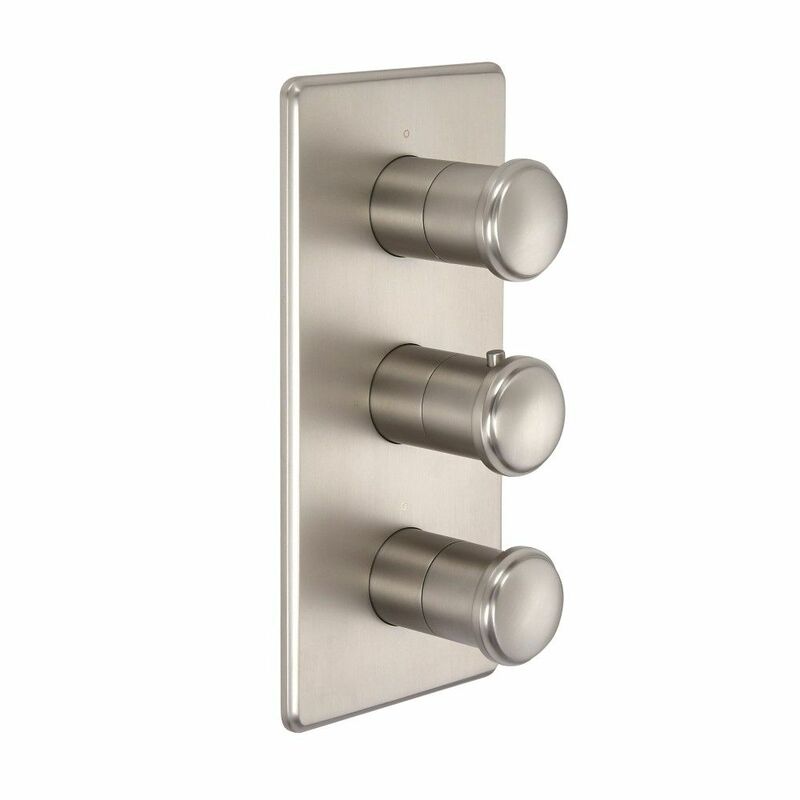 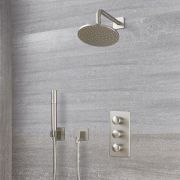 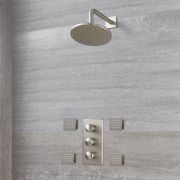 Constructed from brass to guarantee standout durability, the shower valve features a beautiful brushed nickel finish and a modern design. 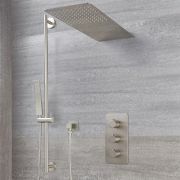 It also incorporates anti-scald technology to provide a safer showering experience.